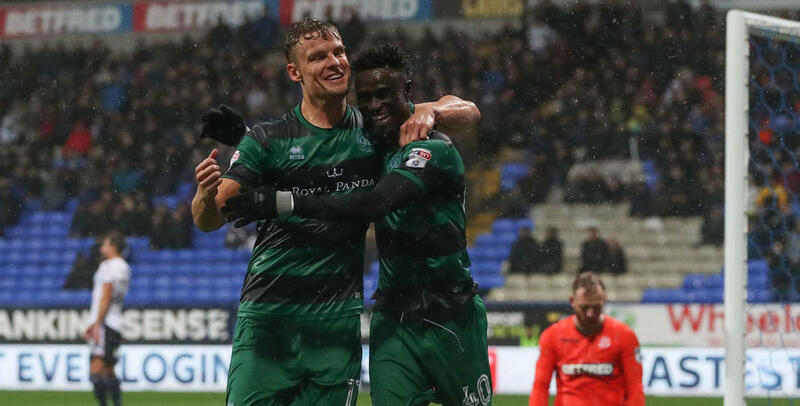 IDRISSA Sylla’s 78th-minute equaliser saw QPR come from behind to take a share of the spoils at the Macron Stadium. Bolton’s Darren Pratley opened the scoring when he headed home in the 22nd minute for Phil Parkinson’s side. A disjointed affair for the duration, this certainly wasn’t a game for the purist in what were truly-awful weather conditions in the North West. But Rangers kept plugging away in the second half, and deservedly levelled matters through Sylla late on. The Guinea international striker met Luke Freeman’s right-wing cross before producing an expert back-heel attempt, to beat Ben Alnwick – and earn the Super Hoops a point. Following our 1-1 Championship draw at Sunderland last weekend, R’s boss Ian Holloway opted to name an unchanged starting XI for this latest trip north. The bench was changed, though, with Jordan Cousins among the substitutes for the first time following a lengthy lay-off with a hamstring injury – picked up in pre-season. Rangers, in a 3-5-2 formation, lined up as follows: Alex Smithies; Alex Baptiste, Joel Lynch, Jake Bidwell; Pawel Wszolek, Josh Scowen, Massimo Luongo (captain), Freeman; Jamie Mackie, Sylla. Hosts Bolton included former QPR man and recent recruit Karl Henry among their starters. And it was the midfielder who fashioned the first effort of the match in only the second minute – his distance blast deflecting off a team-mate before dropping onto the roof of the net. The home side also threatened again two minutes later, as Adam Armstrong fired a shot just past the upright from 20 yards. Amid the blustery conditions and some swirling rain, it took the Hoops five or so minutes to settle. Rangers began to feel their way into the contest after that – testing the home goalkeeper for the first time in the 17th minute. First Sylla saw his low eight-yard effort blocked by the Bolton defence, before Scowen’s follow-up attempt was beaten away by the hands of Alnwick. But Holloway’s men would find themselves 1-0 behind come the 22nd minute. 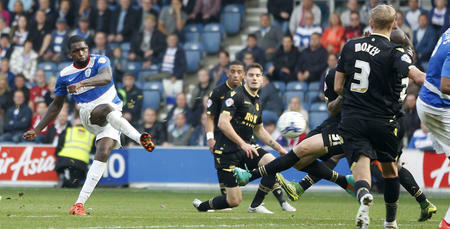 Wszolek’s timely intervention, when Armstrong raced through on goal before attempting to shoot, led to a Bolton corner. And the Trotters led from the resultant set-piece, with Pratley eventually heading past Smithies from close range. Far from the ideal start for the R’s – who had to scrap thereafter when Bolton took confidence from their opening goal of the game. In truth, this had so far been one of QPR’s more-disappointing displays this season as the interval approached. And Holloway wasted no time by duly making an early first substitution in the 38th minute. Manning made way for Conor Washington – as Rangers also adopted a 4-3-3 formation. This had been a first half of extremely few clear-cut chances, and no further opportunities arrived before the half-time whistle was sounded. Holloway’s charges would have to wait until the second period to find a way back into the game. Into the closing half, then, and as the inclement weather continued – so did the scrappy nature of this fixture. Again, chances continued to be scarce as Rangers tried to force a way back into proceedings, with the first effort at goal coming just short of the hour mark. Mackie’s 56th-minute header, from Wszolek’s right-flank cross, was easily collected by Alnwick. At the other end, Bolton’s Josh Vela should have done better five minutes later when receiving possession, in space, 12 yards from goal. He subsequently produced a tame low attempt that Smithies had little trouble in catching. Rangers made a second change straight after that. Matt Smith was introduced, in place of Mackie. 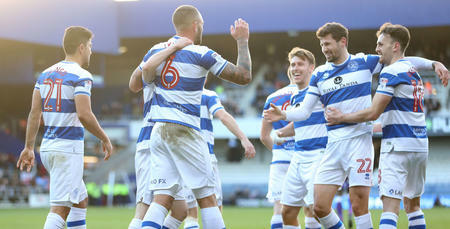 Then came QPR’s best second-half opportunity yet in the 68th minute. Stand-in skipper Luongo’s lovely ball over the top of the Bolton defence was to a tee for Washington – but the latter could only skew his volley wide from just inside the box. Three minutes later, home custodian Alnwick was forced into an excellent low stop to deny Sylla from finding the bottom right-hand corner. The forward got on the end of Freeman’s free-kick from deep. With time now running out, Rangers naturally started to enjoy more possession as the hosts looked to preserve their lead. In the 76th minute, the visitors had strong-looking appeals for a penalty waved away when Luongo seemed to be clipped in the area while, from the same passage of play, Scowen’s curling 20-yard effort whistled only inches past the upright. But Rangers kept going and, in the 78th minute, Holloway’s team were level. Freeman’s floated centre from the right saw Sylla subsequently back-heel the ball towards goal – an improvised effort that Alnwick only just failed to keep out. Parity restored. 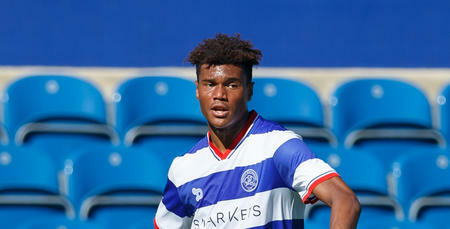 Now QPR had 10 or so minutes to find a winner. Soon after the levelling goal, Bidwell snatched at a decent chance when the ball broke to the defender 18 yards from goal – firing handsomely over. Holloway then used his final sub on 86 minutes. David Wheeler replaced goalscorer Sylla. Three minutes of added time were displayed at the death – and Baptiste had to produce a brave block soon after to divert sub Filipe Morais’ edge-of-the-box thunderbolt wide. That proved to be the last notable piece of action, as the referee called time to signal a point for the R’s. 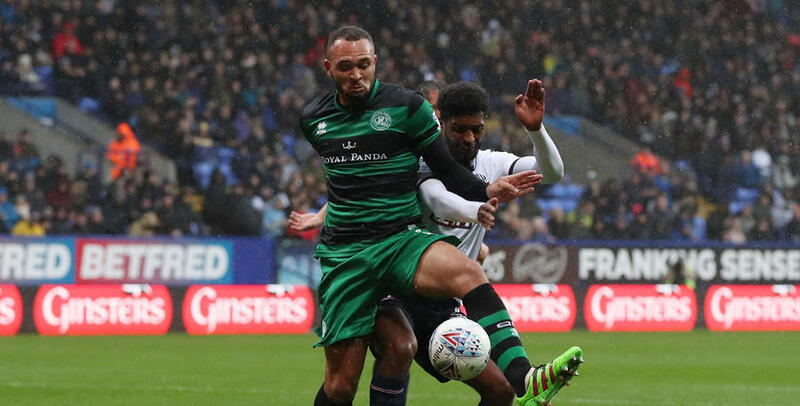 WATCH highlights from QPR's 1-1 draw against Bolton Wanderers.